1st Associated provides advice on property related disputes. We deal with many types of dispute and are happy to help on any issues we can. We always take a common sense and practical approach to dealing with these matters. We are members of and support the Pyramus & Thisbe Club which deals with party wall matters. Compare commercial property surveys and get a quote for a commercial property survey or schedule of dilapidation. 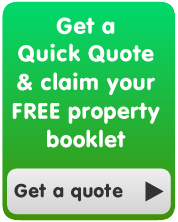 It only takes a few moments to complete our online form to receive your quote. We deal with many types of dispute and are happy to help on any issues we can.